Some of the first laws tackled were caps on alcohol content. In 2004, for example, Georgia’s alcohol by volume limit was raised from 6 percent to 14 percent. North Carolina and South Carolina quickly followed suit in 2005 (6 to 15 percent) and 2007 (6.2 to 17.5 percent), respectively. Alabama’s Gourmet Beer Bill raised the ABV there from 6 percent to 13.9 percent in 2009, and Mississippi raised the state’s ABV limit from 6.3 percent to about 10 percent in March 2012. But beyond alcohol limits, many Southern states struggle with taxes, breweries operating off-site brewpubs, various antiquated distribution woes, on-premise sales for off-premise consumption, prohibitive homebrewing regulations and much more. Tennessee’s Beer Tax Reform Act, for one, is hoping to change the way the state’s beer tax (the highest in the United States) is calculated, thus making it easier for start-up breweries to grow. In Alabama, pending legislation (which was awaiting a vote at press time) would finally make it legal to homebrew there; Mississippi became the 49th state to legalize homebrewing in March. Florida’s fight for 64-ounce growlers—brewers can sell 32- and 128-ouncers currently—is pending as well. And in Texas and Georgia, advocacy groups, breweries and brewpubs are fighting for retail sales reform. Georgia House Bill 314 would have allowed Georgia breweries and brewpubs to sell 288 ounces of beer per person per day on premise for off-premise consumption; it was tabled by the House in early March. The Peach State’s beer advocates aren’t giving up, though. I think we—each brewery and brewpub, the Georgia Brewers Guild, beer events, etc.—need to regularly let our customers know how to contact everyone on the house and senate subcommittees and have them do so throughout this year. We don't want to let up now. Advocates of reform argue that progressive alcohol legislation benefits everyone. By the end of 2013, Georgia will have tripled its craft brewery count since the ABV raise in 2004. South Carolina has seen a similar uptick since its 2005 legislation. David Merritt and Jaime Tenny from COAST Brewing Company in South Carolina. As brewers grow, they’ll often expand their production, hire more workers, sign on with distributors and pay more in taxes. The ripple effect boosts the local and state economies, making it easy to paint the opposition as anti-small business. 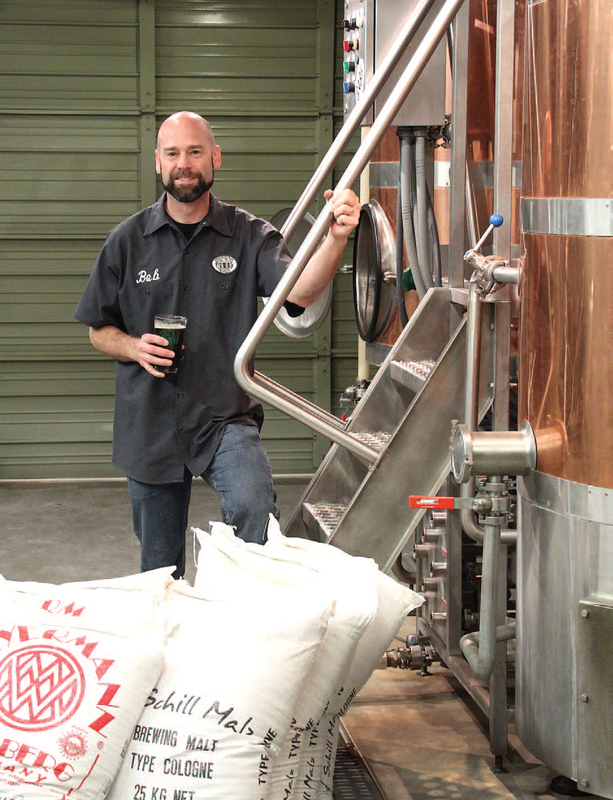 Other pending legislation in Texas would allow brewpubs to distribute off site, production brewers to sell on site and small breweries to self-distribute. Moroever, antiquated legislation keeps Southern states from competing in the rest of the country’s booming craft beer scene. In Texas, the Wholesale Beer Distributors of Texas are backing a bill that would make it illegal for breweries to be compensated for distribution rights. Jester King’s Ron Extract has been a vocal opponent of the bill. “As a result of this, I can say for sure that we will never work with a WBDT member unless they publicly renounce this effort,” says Extract, who’s no stranger to legal battles. He and his team saw several victories as a result of their lawsuit against the Texas Alcoholic Beverage Commission in 2011, such as overturning the law that required Texas brewers to call everything over 4-percent alcohol by weight “ale” or “malt liquor,” and everything below 4-percent ABW “beer.” They also overturned a law prohibiting brewers from telling customers where they could buy their beer. Texas’ Jester King Craft Brewery crew. Meanwhile, the few, more progressively minded Southern states are reaping the benefits of their less oppressive beer laws. Besides hosting a booming small-brewery industry, North Carolina won the business of Oskar Blues, Sierra Nevada and New Belgium; those openings will bring hundreds of jobs and millions of dollars to the Tar Heel State, not to mention worldwide attention. 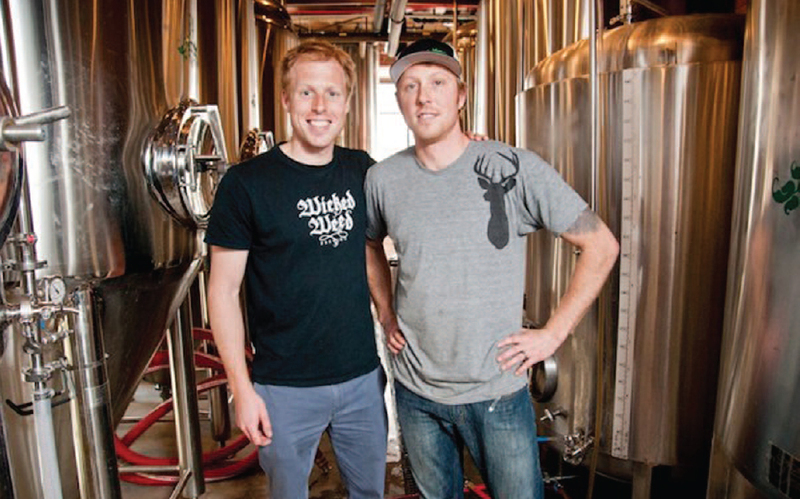 Luke and Walt Dickinson of Wicked Weed Brewing in North Carolina. Jason Wilson of Alabama’s Back Forty Beer Co.
It’s likely that those who continue to oppose progressive legislation will eventually end up on the wrong side of history.